Home Destinations Fantasmic! 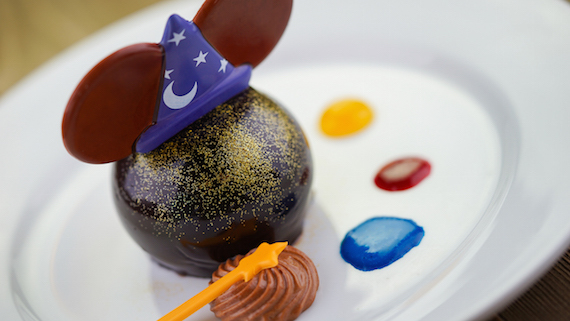 Dining Packages at Disneyland Available to Book Now! "Fantasmic!” returns to Disneyland® Park on July 17, 2017! If you are looking for a delicious way to have reserved viewing for this classic nighttime spectacular, reservations for three new “Fantasmic!” Dining Packages are now available. There’s something for everyone, from on-the-go options to extravagant three-course dinners. Blue Bayou Restaurant “Fantasmic!” Dining Package will include choice of starter, entrée, dessert and non-alcoholic beverage; cost is $65 for adults, $25 for children age 3-9. River Belle Terrace “Fantasmic!” Dining Package will include choice of starter, entrée, dessert and non-alcoholic beverage; cost is $45 for adults, $25 for children age 3-9. Hungry Bear Restaurant will offer choice of entrée and natural soda; choice of entrée and bottled water, juice box or milk for children age 3-9; cost is $29.99 for adults, $19.99 for children. I'm hungry just writing about it! For more information on booking this or any other vacation planning assistance, our MEI-Travel & Mouse Fan Travel planners are standing by to help with a free no-obligation quote! Head over to Mouse Fan Travel's quote page for more.